Salutations. We're about 15 minutes away from the planned start of the chat. Already there are questions streaming in. That's great news. I'm attempting to position myself at the ballpark -- or near it -- to provide coverage from there as well. So, get the hopper loaded. And we'll get to chatting ASAP. If I lag a little here, it's only because I'm setting up in the press box. Thank you. A test run here to see if I can drop in a little multimedia today through a new interface. This photo is from Thursday. Beautiful day day at the park, though. Derrick, How close is Mikolas to getting back to last year's form? If last year tells us anything, it's that he's there this evening. There were similarities between Mikolas' start to last season and the start to this season -- mainly as he was still working on the movement and command of his pitches in his early starts and then got it -- and off he went. He's a relentless strike-thrower and opponents know those pitches are going to be in the zone. So, for him movement and consistency of that movement is important. He's got to be able to throw the ball in the strike zone and have it find the edges with movement, not be a pitch that can be ignored because it's a ball out of hand or the movement the hitter knows will make it a ball. He gets that dialed-in over time, and he's had two cold, dry starts. It's warm here today. He's got a better feel for the season. All signs point to today being that snap-together start. The Cardinals are "boring," compared to the Cubs seemingly making 2+ errors a game. Such a snooze. Don't ignore the Cubs long road swing to start the season. Bet they have jetlag. Does the front office make up the lineup for the manager? Nope. Front office controls the roster. Manager controls the lineup. This Padres series has me really not looking forward to seeing Machado all the time now in the NL. Fair point. I was impressed with that Padres lineup. Good approach. Strong approach, spreading out from Hosmer and Machado and it's going to be wicked good when Tatis moves up to the leadoff spot and does damage there. What do we do with Miller? Hope he's sharp because the Dodgers are here, and the Cardinals will need him. Rank the Cardinals pitchers and when to expect them to bounce back in Shazam(! )-like fashion: Miller, Reyes, or Mikolas? Miller, they need it to be this week. Really disappointed to hear Pujols crying again about how he was disrespected in his contract offer from the Cardinals. With how quickly his career spiraled down after joining the Angels, he should just shut up about it or say "no comment" when asked. I don't think interviews like that one work that way. The agreement is that questions will be answered. Is there anything that could change the front office's mind on Keuchel/Kimbral? Their asking price and the years they want. Those are good places to start. Do you expect the defensive substitutions all year for Ozuna in late innings? Not all year because if that becomes a habit then he'll be replaced in the starting lineup and he'll be the one making late-game appearances. Performance will determine that. When do you think the price point of these free agent pitchers will go down? I don't see any signs of when, honestly. Maybe after the draft, when teams don't have to fret losing a draft pick. Removing Ozuna for a defender and pinch hitter was a big move to me. Any indications on how long Schildt will start Ozuna, much less bar him 4th? There is not, but I'll offer the same suggestion to you in the chat that I did with Dan McLaughlin on his podcast earlier today: What how double-switches become quiet platoons and how Martinez or O'Neill will slowly see as many at-bats in a five-day, six-day stretch as Ozuna or Fowler, and then all of sudden you look up and in hindsight Shildt has started to use a platoon without advertising it. O'Neill has been moving into games when he can get two at-bats. Well, that's two at-bats someone else in the outfield isn't getting. So, it's already starting -- glacially. If you were just looking at our starting lineup objectively, what would be your batting order? Wong, Bader, Goldschmidt, Dejong, Carp, O'Neill, Ozuna, Yadi, pitcher. Interesting question. I don't think it would be, no. That's too, too, too low for Carpenter, who is an OBP and OPS masher, so you'll want to maximize his ABs. What information are we going on here? Career numbers or current feel? In reality, Matt Carpenter should be the No. 2 hitter, like Jim Edmonds was for the Cardinals. That same kind of idea. Paul Goldschmidt should hit No. 3, and Ozuna or DeJong should hit fourth. Granted, that leaves leadoff to Fowler or Bader, and if we're going career numbers then Fowler gets the nod, and if we're going current numbers there's really not an answer there. Stacking Wong, Carpenter at the top really invites a lefty reliever into the game that third time through, so that's not ideal. It's a tough lineup to crack in those terms. So, let's go with current feel, and look at it two ways: There's the Get-Em Going lineup, and the Living In the Moment lineup. That seems to balance things out, while spreading the at-bats around, too. Would you move Wong and Bader to the one and two spots of your lineup? As illustrated, I would not. Bader will benefit from the eighth spot. If Ozuna ends up having a similar year to 2018, say 2.5-ish fWAR +/- 0.5, do the Cards extend the QO at the risk of acceptance? Great question. They probably would have to do so -- and that would be the bind they're in. They could do that and still look to O'Neill or Carlson in left field for the majority of the time because the cost wouldn't be all that different than the production they'd expect to get. Also, they would be able to trade him for the type of pick they want to get back. That's probably want would happen. They'd offer. If he accepts, they'll shop him around for the level/value of the pick they lost. Some team would take that. Miller's sample size is quite small, even including the spring training stuff. So look at process over sample size. Fowler, Ozuna are going to have last year's performance inform what the Cardinals see now. They'll look to the peripheral metrics and not the box scores, but three weeks, a month into this things they'll look for signs that history isn't repeating itself. Hey DG, I know ERA is not a tell all stat but Waino's ERA at home vs road the last several years is drastically different. 2016: Home - 3.20 Road - 6.18. 2017: Home - 3.08 Road - 7.32. 2018: Home: 4.50 Road - 4.38 (Only 8 starts total, small sample size but pretty even here) and then obviously this year is only 1 start each but we all saw the difference between the two. I know the last one is recency bias but going back 3+ years now he is not a good pitcher on the road. The cards have to set him up to pitch as much as possible at home. Even bring up a "sixth" starter if need be to line him up at home as much as possible. Am I reading too much into this or do you think anything can be done to change it? Thanks! You are not reading too much into this, and that's something the Cardinals have discussed at various times over the past few years. 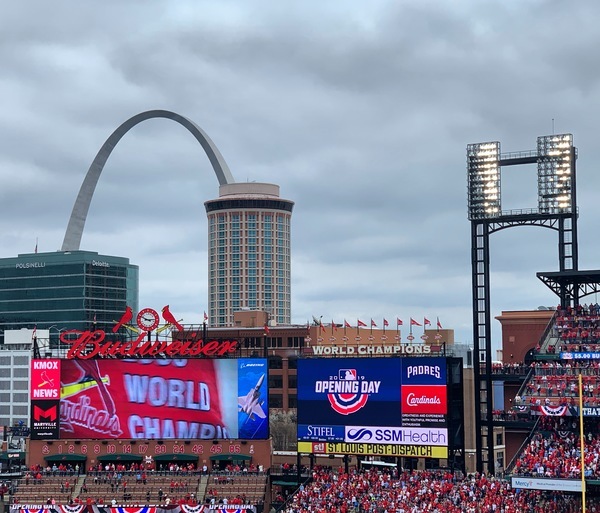 Not always in terms of home vs. road, but what about home and the Busch ballpark helps him out and how do they find that on the road. Big ballpark? Have him start at some of those places. Is it that Busch is a tough place for righthanded hitters to do damage? Perfect. Have him start in San Francisco on the road. 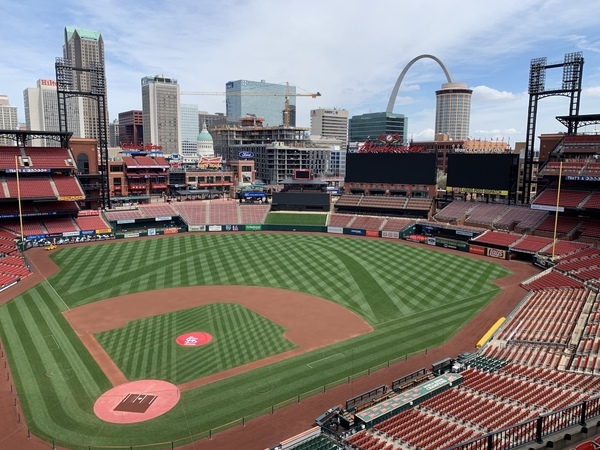 There have been times when the Cardinals have massaged the rotation to squeeze another start at home for Wainwright and avoid one on the road -- so they've already acknowledged that. And there are times when they have to balance upsetting the rotation's rotation with the benefit of the one, and they have not moved Wainwright's start around when it's going to cause trouble for others. His next start is set to be in Mexico. At altitude. So, that will be a good test, because Wainwright has held fast to the fact that he's healthier now, able to do more things now, then in those years you described. Have you had any discussion with Wacha about it potentially being his last year as a Cardinal? Many. So has Rick Hummel. Writing is on the wall. I'm not a fan of the 4 out relief! Seems to me a closer is wired to come out for one inning and close it ... getting an out and then sitting an inning and cooling off and then doing it again scares me. Thoughts? Closers are wired differently now. Hicks has been developed for a more modern usage of the role and that will benefit him in days like Sunday when he's called upon for a four-out save, and he doesn't buckle. That's the idea. The Cardinals have been talking to their relievers about this usage all winter, and they've been preparing Hicks for this kind of usage all his career. Does the Keuchel situation, including him initially rejecting a qualifying offer play heavy with how the Cardinals might not even be so inclined to offering Wacha a similar one year deal in 2020, even if he manages to remain healthy with a solid/productive overall season to boot?